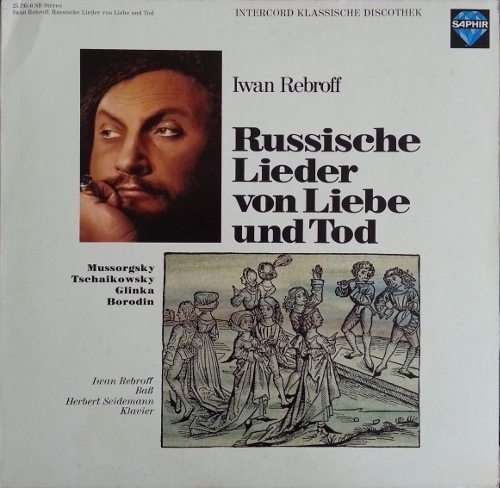 All but two of these songs are available on the Original russische Liebeslieder LP. This is also available on the Eurocord label J914. That album's cover is just the lower of the two pictures on the Saphir cover shown above.